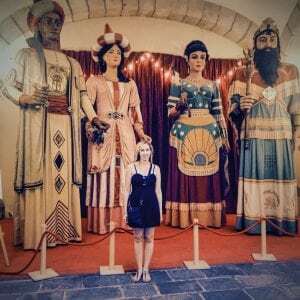 The first thing you must know about La Merce is that it is one of the coolest festivals I’ve ever been to, my favorite in Europe. The second is that it is very difficult to plan your trip around because the schedule is not released until about a month before. Yes, the main national holiday is on the 24th of September every year; however, a large number of must-see events happen either on the weekend before or after depending on the day of the week the 24th falls. Just be prepared to arrange your exact travel days at the last minute after the schedule is announced. But don’t fret! You can always take a bus or a train from Barcelona to Madrid, Girona, Figueres, San Sebastian, Bilbao, etc. and explore another fantastic Spanish city on the days that the festival is not taking place. Click here for a guide to transportation in Spain. Now let’s answer any questions you may have about La Merce! 1. Do I have to book accommodations in advance? Hostel and hotel prices do get a bit higher as places tend to fill up; however, I booked an airbnb the night before arriving in Barcelona for La Merce 2015 and stayed at a fantastic place right in the center of the Gothic Quarter. In summation, booking at the last minute is doable. Events are also located throughout the city. 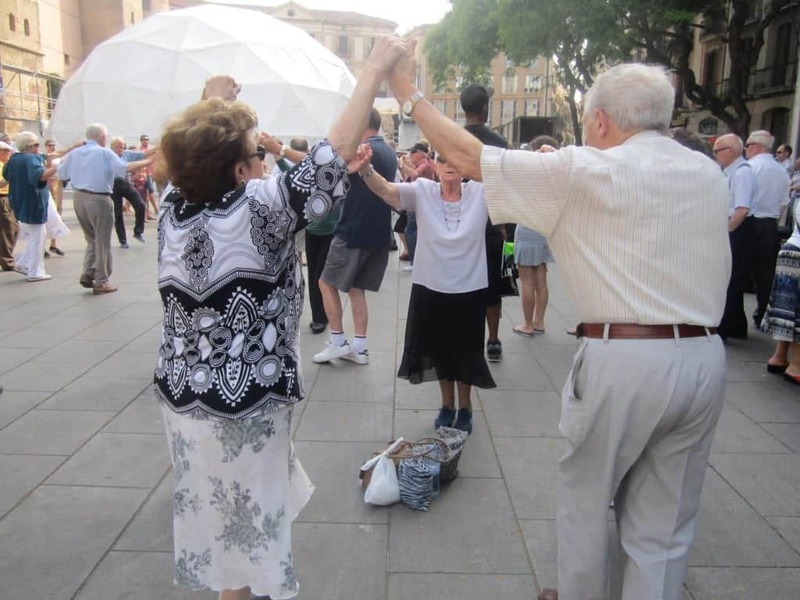 However, the majority do took place in Plaza Sant Jaume, so you should definitely choose a place that is conveniently located to the plaza. All of my favorite hostels and hotels in Barcelona are posted in my 10-Day Spain Itinerary here. 2. 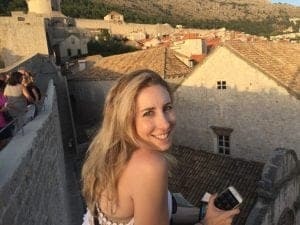 How do I budget my time between seeing the city sights and going to the festival events? Make your first stop one of the tourist information offices. There is an information center in Plaza Sant Jaume and one in the center of Las Ramblas on the “Boqueria” side. If you are staring at the ocean, the tourist office would be on the right-hand side. There you will receive a schedule of all La Merce events in multiple languages and you will be able to plan each day in advance. Now you will have the opportunity to schedule the best La Merce events in between Gaudi architecture, the beach, and tapas. Click here for my ultimate guide to Barcelona! 3. What are the must-see events for La Merce? 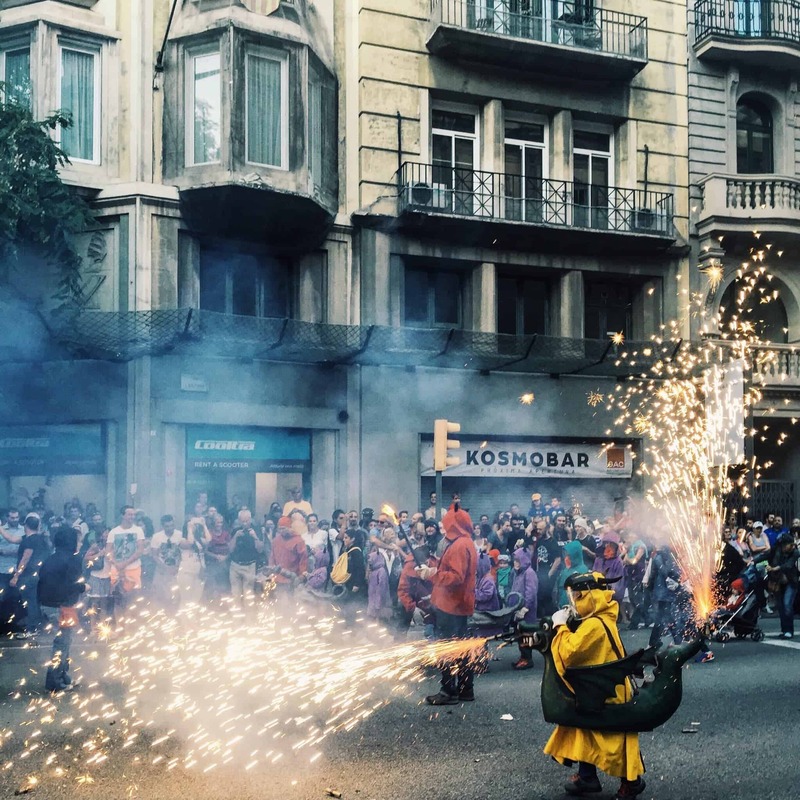 A) Correfoc- This event is also known as the “fire run.” There are two “runs,” a child-friendly one at 6:30 PM and an 8:30 PM adult version on Via Laitena near Jaume 1 metro stop. People dress up and carry fire crackers and fire-breathing dragons down the street in a parade-like style. The first time I experienced this was when I randomly happened upon the parade in 2009, and because it was like nothing I had ever seen before, I made it a huge priority to return. Make sure to wear long sleeves, pants, hats, and closed toed shoes. If you are a female, please to tie your hair up; I don’t want anyone getting singed! Don’t stand too close as the fire crackers are loud, just close enough to take photos and videos of just how spectacular and how totally illegal this would be in the United States. Photography tip: If you want to get photos of the fire run during the daytime, I would go to the children’s Correfoc as well. The photo above is one of my absolute favorites that I ever took because the fire really stands out at this time of day. 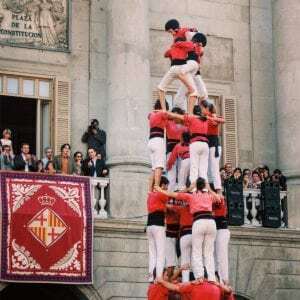 B) Human Towers- There are two castillos humanos or “human towers” events that occur during La Merce. 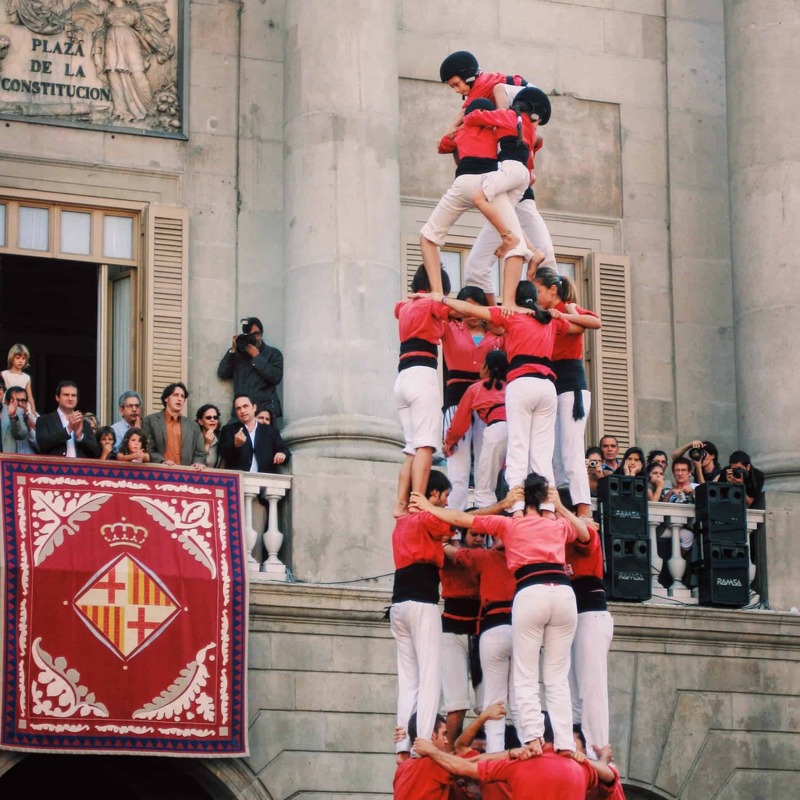 Both national and local teams compete at different times to build the most successful human towers. 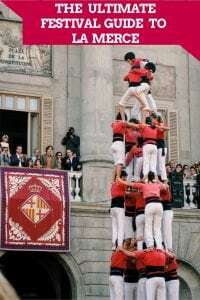 This is an incredible experience as you watch Catalonians of all ages come together to build towers with their bodies. Also located in Plaza Sant Jaume, I made the mistake of trying to get as close as possible. Having done so, I would suggest keeping a good distance as the “castellers” need to push the crowds away as they build the towers. Talk about a traffic jam. As the competition goes on for a few hours, there is no need to rush to see the towers. Crowds will lessen as the day goes on. C) Piromusical and/or La Merce Fireworks on the Beach- There are two main fireworks shows during La Merce. Piromusical is the culmination of the La Merce festival and is held at the fountains of Montjuic. Thousands of people head over to watch a spectacular combination of fireworks, music, and a water light show. I would suggest taking the metro there and then after the show eating nearby and taking a taxi back 10 minutes to the city center as the area becomes so congested. Depending on what night of the week Piromusical falls on, you might be able to take the metro back but don’t count on that since it closed on Thursday night this past year at the usual time. Also, check out the fireworks show at Barceloneta beach. Sit on the sand with a bottle of wine and just enjoy the beautiful lights in the night sky. There are typically two nights worth of fireworks shows at the beach. D) Giants, dragons, and beasts- Oh my! Just kidding, that was a terrible joke. But in all seriousness, don’t miss the multiple giant parades and giant-related events that happen during La Merce. The festival opener is always a parade of giants and beasts. But, if you arrive later in the week, you will be sure to see parades and dances on the 24th as well as other days throughout the festival. 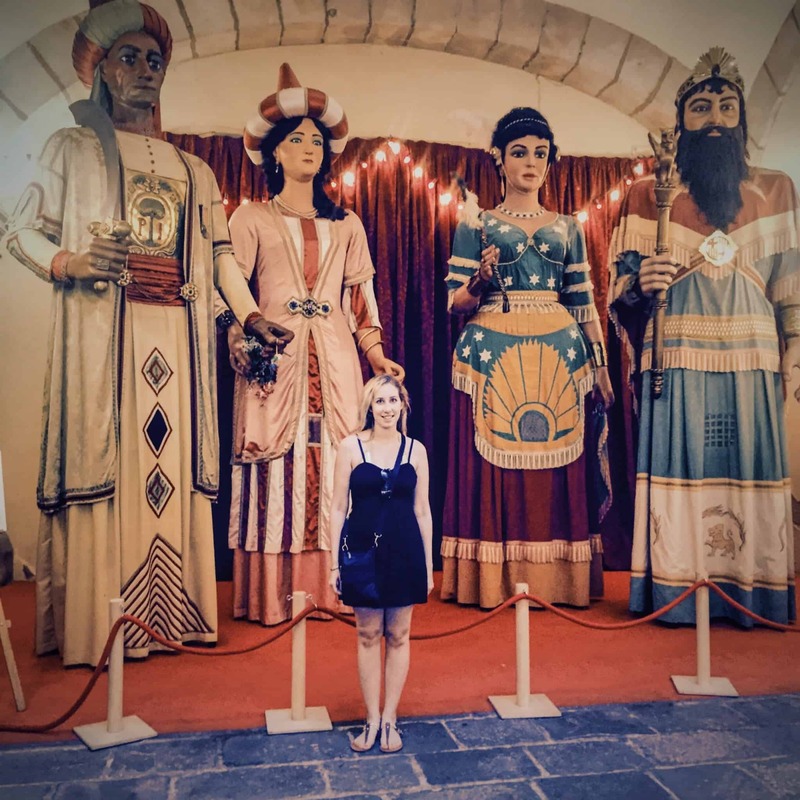 You can also head to the tourism center on Las Ramblas where they showcase some of the giants and explain the meaning behind these creatures and why they are such a critical part of La Merce. I won’t give you any spoilers! E) Mapping- I feel as though every year mapping becomes more and more prevalent at the La Merce festival. You can watch some really beautiful light projection shows throughout the city on some of the Gaudi and government buildings. I highly recommend checking out the show at Casa Battlo or in Plaza Sant Jaume. There are usually multiple shows a night at each of these locations. F) Musical Performances in the Park- After a hectic day of trying to sightsee and attend festival events all at the same time, it is nice to take a relaxation break. 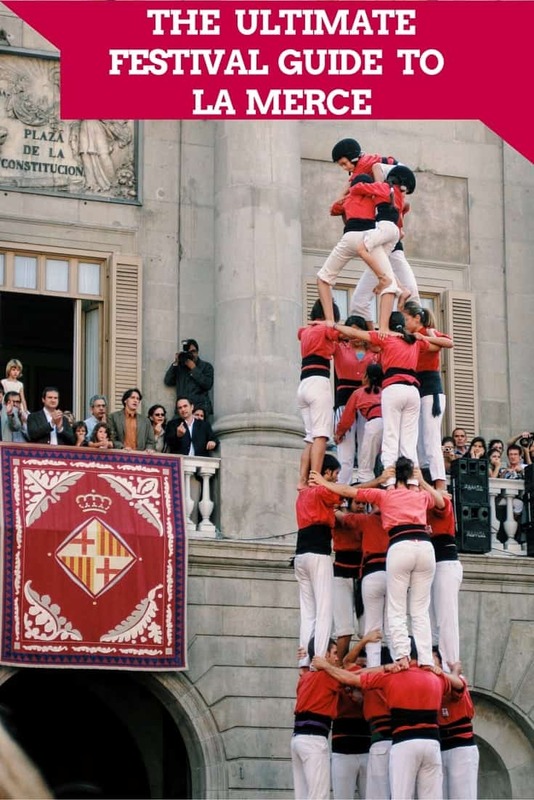 Head to Park Ciutadella for music and a picnic as there are ongoing performances all day for the duration of La Merce. The festival guide that you picked up from the tourist office will have the exact showtimes and groups that will be performing. Each year, La Merce partners with another city to involve another culture with the festival. This past September 2015, the guest city was Buenos Aires, so the performances had a strong Argentinian influence. Looking to spend more time in Spain? Check out some of my other favorite Spain posts! Are you on Pinterest? Pin these La Merce Tips for later! Have you celebrated La Merce in Barcelona? If so, what was your favorite event? Did you like this post? Please follow me on Facebook for more updates!